The Judy Tote is a bag made from layers of sturdy duck cloth double stitched with raw edges to give it that deconstructed look. The Judy Tote has two handles. This Judy is embellished with an artists paint pallet made from felt and machine sewn. 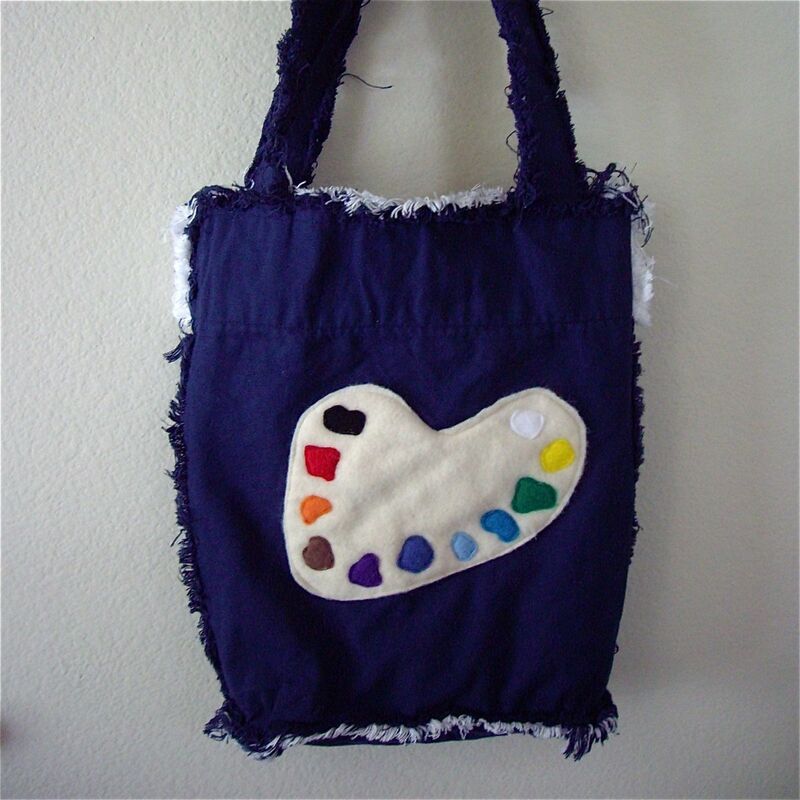 Perfect for carrying art supplies for projects on the go! The lining is a coordinating cotton print to match the paint colors of the applique. This bag has 2 pockets on each side. 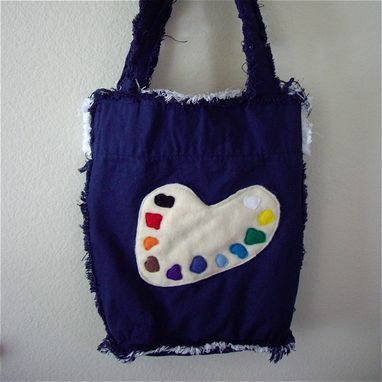 You'll love all the attention you get everywhere you go when you carry this bag! We also do custom orders. Contact us for details.